New Shirt! 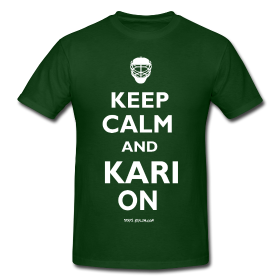 Keep Calm and Kari On! During the Second World War Britain’s Ministry of Information was tasked with creating propaganda to boost the morale of the British populace – the boldly colored red poster with the Queen’s crown and the words “Keep calm and carry on” did exactly its job, posted everywhere throughout Britain. Some 70 years later this design has become one of the more popular and long-standing internet memes. In Dallas Texas, as typically expected of a team’s goalie. 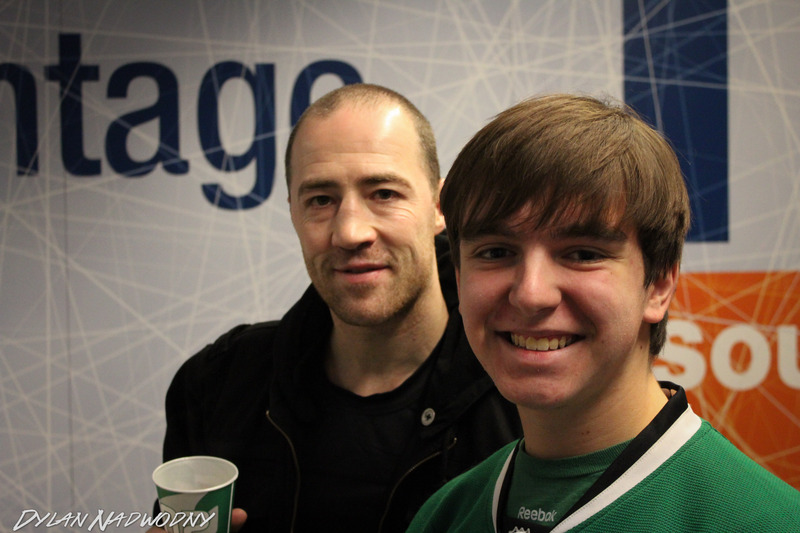 Kari Lehtonen is both the Stars’ version of the Ministry of Information and their last line of defense. Purchase this green and white propaganda and remind your fellow Stars fans that all is well – well, it will be, eventually. Whatever you do don’t give up – do not let the Red Wings win! To get the shirt, visit our store! As with all of our shirts, these are available in many colors including black, white, green, brown, and orange.